Undisputed kings of Roman funk Funkallisto have been active on the scene since 2004. What started as a jam band quickly collected a growing following thanks to their energetic live shows in the streets of Rome, and now a decade later they have 4 self-produced albums under their belt, all on their own imprint Express Yourself Productions. With their forthcoming fifth album, “Saturday Night Dogs”, the band is finally ready to conquer new territories and extend their empire beyond the borders of the Italian peninsula. Marching with a legion of talented musicians among their ranks, the sound of Funkallisto is rooted in 70s blaxploitation funk & soul, but afrobeat, jazz, rock and latin are also thrown into the mix. The result is an explosive kaleidoscope of relentless, bass-heavy grooves and soulful, melodic interplay. Titletrack “Saturday Night Dogs” and “Piamose Trastevere” both reference the sound of Italian 70s police movies, while “Darkalabro” and “Rhythm feat. Trio Vermelho” reflect the band’s afro influences. The album also includes 3 tracks recorded onto tape at the Blind Faith Studio of Italian soul man Luca Sapio, namely: “Mercelito el Tropicano”, “The Devil” and “Fatebenefratelli”. While uplifting groover “Take A Little Time” is the fruit of a collaboration with UK vocalist Jess Roberts, who delivers powerful lyrics with a message. 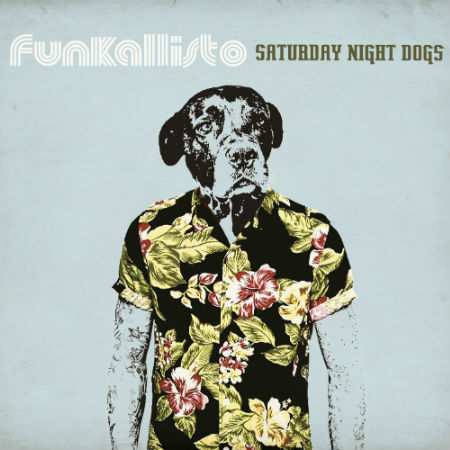 With “Saturday Night Dogs” there’s little doubt Funkallisto are a formation on a mission, simply summarized: “Veni Vidi Vici” .